Little Lady and I were busy this week making turkeys. She loves to help me decorate our home for the holidays but let’s be honest a 2-year-old can only be so helpful. By involving her in her own projects I can keep her away from the glass and other not so kid friendly items and she can proudly display her works of art around the house. 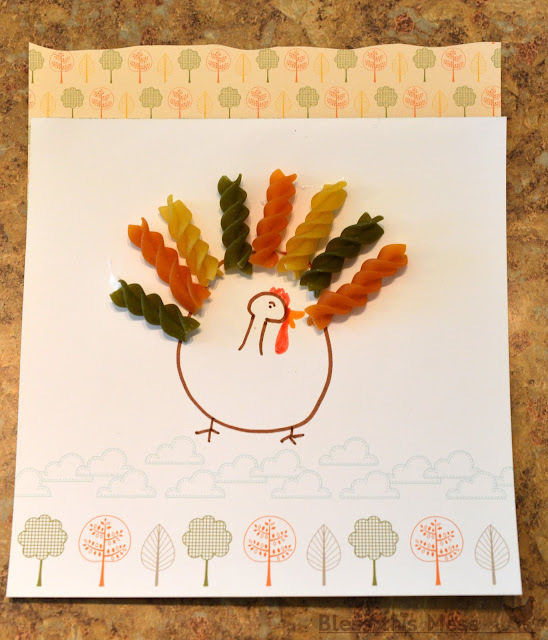 Take a look at what we made and a roundup of other toddler thanksgiving crafts. These hand and foot print crafts were a blast to make. I get to remember how little she was and she loved coloring and gluing on the feathers. I’ve made these turkey cookies for years, but this was the first time little lady helped. You need a chocolate star, peanut butter cup (or cordial cherry) candy corn, and fudge striped cookie. Just glue it together with melted chocolate. 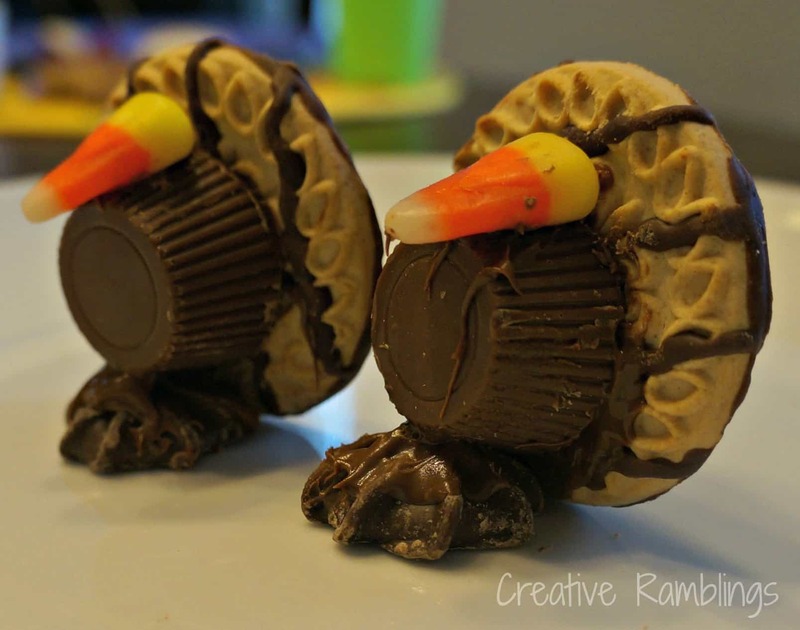 These are lots of fun to make with kids on Thanksgiving then snack on after our meal. 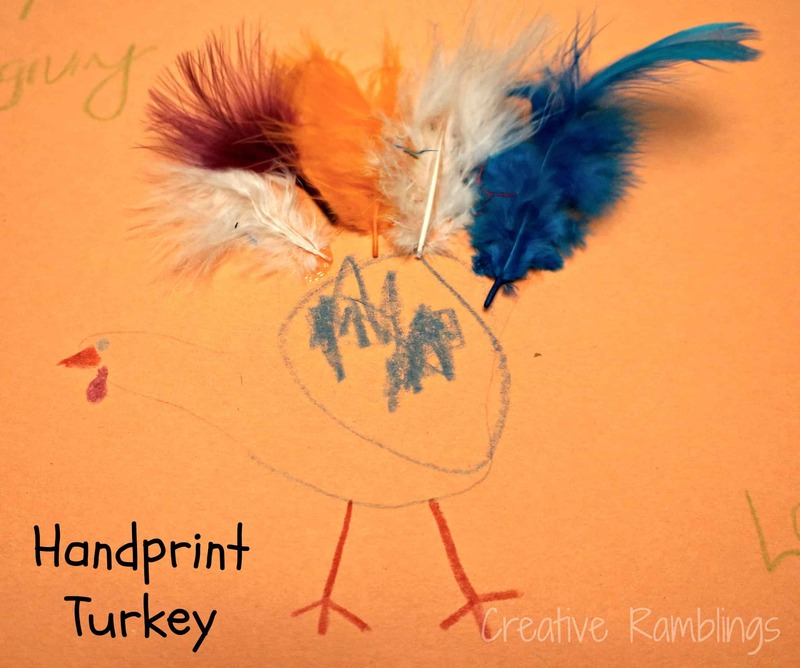 This fingerprint turkey from Cards by CG is a great idea. What toddler doesn’t love paint! 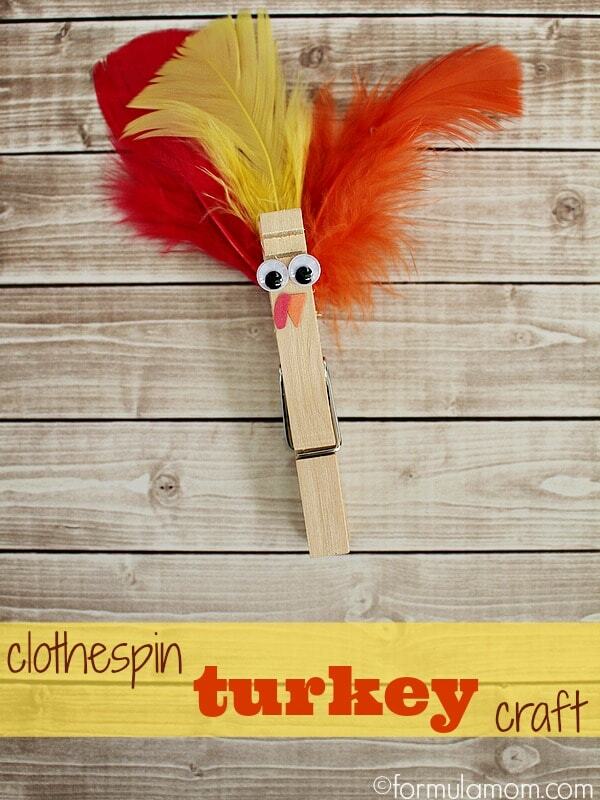 Easy Turkey Craft using tissue paper and glue from Happy Home Fairy. Fruit Loop Turkey from Putti’s World. To make this toddler friendly I could draw a turkey and color the features then she could match the fruit loops to the correct colors. Gratitude turkey from Little Family Fun. I would really like to write down what my daughter is thankful for and put it together like this. She could help with some of the letters and color the turkey body. What crafts do you do with your kids this time of year? I am doing research to find advent crafts for families in my church. Ages range from 3 -10. any suggestions? Joan – glad you stopped by. I am working on an advent calendar this week which should be up next weekend, I will probably post some craft ideas in early December I don’t have any in mind just yet. 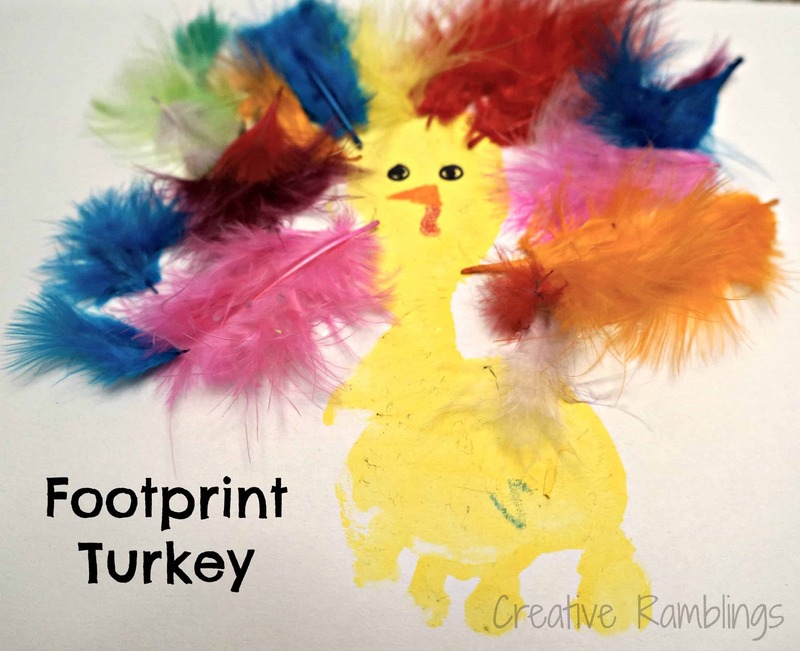 I love the footprint turkeys! I have been looking for crafts to keep my (almost) 3 yr old son busy while I decorate and prepare for the holidays! 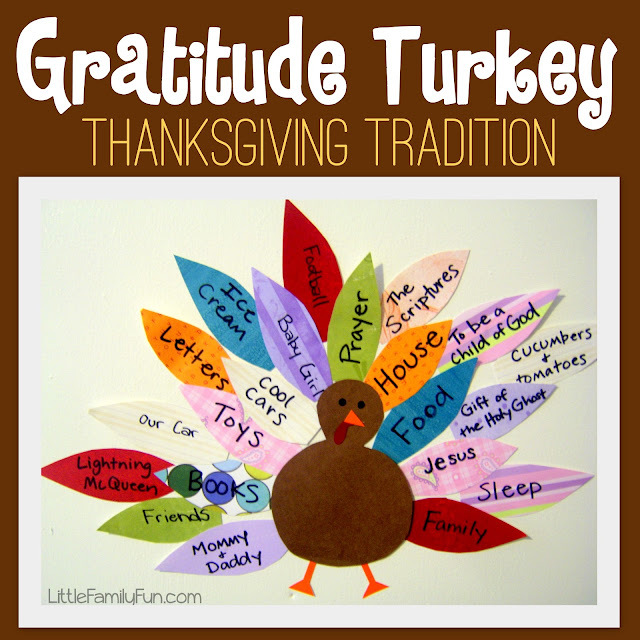 These are great ideas to teach him about Thanksgiving! So glad you like them, have fun! Thanks for stopping by. Thanks for stopping by Carrie, so glad you like them. I love how big an impact these little things can have on moms and kids.